Working in a cluttered space is not only distracting, but it can cut down on efficiency, too. How can you get work done when there’s a mess covering every surface of your work area? As it turns out, science has some pretty nifty answers to this all-too-common complaint. Something as simple as putting up shelves can give you the space you need to organize and declutter your workspace. Trying to work while you have a screaming toddler or a barking dog next to you is next to (if not totally) impossible. Researchers at Princeton University believe that a similar reaction takes place in your brain when your work or home study areas are excessively cluttered. The more stuff you give your brain to focus on at one time, the harder it is to concentrate on the one thing that should take precedence. Think of it like a computer processing information; it’s easier to process just two or three pieces of data at a time. When you have 300 tasks going at once, things get complicated. Without the ability to fully process information, you are likely to become frustrated and lose motivation. During Princeton’s Neuroscience-Institute-led study, researchers used an MRI and other tools to map the response of the brain in cluttered and uncluttered environments. They found that clutter (in any form) keeps the brain from being as productive as it could be. Keeping clutter out of your space will make you less irritable, ensure that you are distracted less often, and even make you more productive. Most people think that a big project is better done in pieces. This is just not true. You’re better off doing the project all at once unless it’s extremely large—especially when it comes to decluttering your home or workspace. If you tackle it all at once, it’s much easier to get it to a point where it’s restored and, thus, it becomes easier to maintain going forward. If you tend to get distracted at your desk, keep only what you need within arm’s reach. Not having objects to fiddle with when you’re working will help you to stay on track. Put items like pens, tape, and staplers away in desk drawers or on other shelves away from your workspace. Plan out and organize the items you need most on a daily basis, but be sure that you set a limit for yourself; it’s easy to go overboard when you lack organization skills. Give yourself time every day to take away items you no longer need from your desk space. This will help to make room for the things you really do need, like new files, documents, and supplies. Don’t use your email inbox as a list of things to get done. Digital or real, clutter still affects your brain in the same way and should be avoided. Instead, write a paper list or use software like Todoist instead. Use your shelves! If you don’t have shelves already, invest in a bookcase or other shelving unit to fit books, paperwork and various other things you may need. Don’t need that book or document just yet? File it up out of the way and forget it. Almost everyone has clutter in their home or workspace. While resolving excess clutter might not be an easy fix, it’s a move that can significantly boost your productivity and cut down on unnecessary lost time. Use the space you have and make more space by utilizing shelves and you’ll be clutter free in no time. Need help picking out new shelves? Contact Aurora Small Office for one-on-one support today. www.aurorasmalloffice.com, or (800) 277-1699. 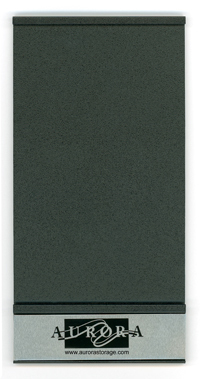 Choosing a Finish: What Color Best Fits Your Office? You’ve decided to purchase new shelving and storage systems for your office, and you can’t wait to get your unruly files and supplies off your desk and in order—but have you decided which finish color to choose? Consider the following three aspects of design that could help you make a decision. Believe it or not, the color of our surroundings can have a profound impact on our moods. The associations people make with different colors tend to vary along cultural lines, but interior design often refers to the associations made in modern western culture. Red, for example, is considered a passionate, intense, and warming color, while blue is considered calm and soothing (which makes it popular for high-anxiety settings like clinic waiting rooms and other medical offices). Yellow is bright, happy and energizing, and pink—especially a soft, pastel pink—is viewed as youthful, feminine and fresh. Basic colors like gray, taupe, and off white provide an earthy, grounded feeling that’s ideal for a Zen space and which serve as a great background for other colors. Another simple way to choose a finish is to consider what would best coordinate with your overall office design. Is your current décor light or dark? Is it more traditional or modern? If you work in a traditional office with light neutral walls and wood grain furniture, you might consider a shelving unit in a neutral brown or light sandy color for a mellow, comfortable feel. If your office is a bit more modern with a bold-colored wall, a simple black or stark white unit can create a nice contrast that’s both appealing and trendy. What Kind of Finish Suits What You Do? While any shelving finish can be suitable for any office, there are also some finishes that are common to certain industries. Consider the kind of design used by other successful companies in your business. For a strongly industrial company that does construction and fabrication, a stainless steel finish can lend an air of strength and class. By comparison, a tech-focused company might consider a bright white finish, à la Apple. Whatever your business, think about what your company does and what your company’s values are. Focus on choosing décor and furniture finish colors that embody those ideas and make them come to life. The psychology of color and design just might help your team get into the company spirit, as well. For sturdy shelves and a variety of accessories available in a variety of office-appropriate finishes, choose the top-quality metal shelving products of Aurora Small Office. Choose from eight colors to coordinate with your office, including Gray Mist, Pebble Tan, Off White, Parchment, Adobe, Black, Sand, and Mushroom. To learn more about our products and finish options or to place an order for shelving and/or accessories, call us today at (800) 277-1699, www.aurorasmalloffice.com. Author adminPosted on November 21, 2016 April 25, 2017 Tags Finish, Office decor, Office storageLeave a comment on Choosing a Finish: What Color Best Fits Your Office? We spend most of our waking hours at work, so it’s no surprise that having a dull, cluttered office can have a serious effect on the way we feel—and the way we work. Take a look at four simple ways you can take your office from dreary to delightful. Before anything else, it’s important to get your existing office into somewhat tidier shape. Sometimes, all it really takes to refresh a room and lift one’s mood is a thorough cleaning. Clean out your desk, do a bit of dusting, re-stock your supplies, and, finally, throw out those old mints you’ve had stuffed in the drawer for the last couple of years. When everything’s nice and clean and you’ve got only what you really want to keep in your office, you’re ready to change up the décor a bit. Perhaps the simplest way to spruce up your workspace is to simply hang a few pieces of work appropriate art. Take this opportunity to showcase your personality and style; would you prefer to highlight family memories with a cluster of framed photographs, or do you want to go all-out with big, colorful pieces? Are you more abstract or more realistic? Decide how you want to feel at work and select art that brings you there. Office lighting is often harsh and unforgiving, leaving employees feeling like they’re working in a sterile, emotionless place (and then there’s the occasional weird buzzing). In most offices, you can request to have your overhead light bulbs removed if you’d like to provide your own light completely. Or, you can keep the overhead lights and simply add something else for décor and warmth. As with art, you’ll want to select a lamp that suits your style and makes you feel happy, comfortable, and productive. Of course, you’ll also want to make sure it provides sufficient light so that you aren’t working in a low-light environment—the last thing you want to do is trade style for eye strain. Another great way to open up your office area and keep it from getting cluttered is to think vertically by lifting things off the floor with various shelving and storage solutions. Expand your desk drawer space by moving older filing into standalone filing storage shelving (which also makes a great surface for décor, like a photo frame or flower vase). Shelving options like minimalist cube shelving are not only trendy, they can also take books, pencil holders, supplies, snacks, fans and other items off of work surfaces and put them into visually-pleasing vertical storage. Whether your office space needs a complete overhaul or maybe just a bit of a pick-me-up, Aurora Small Office has a selection of shelving and storage options to help you beat clutter and keep all your important files where they belong. From counter-high filing units to various accessories and replacement parts, we offer our customers complete storage solutions at a great price. To learn more about how we can improve your workspace, call us today at (800) 277-1699! 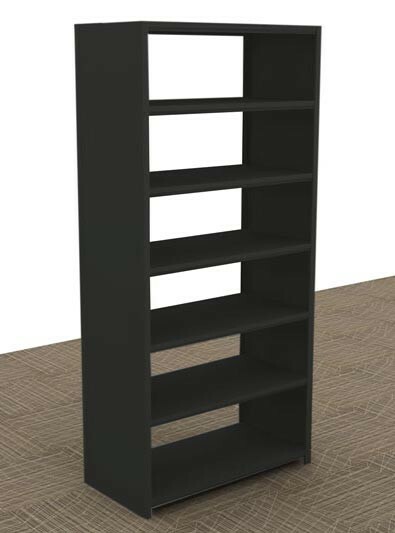 What Shelving Unit Is Right for My Office? At some point in your career, you’ll probably face a common office issue: a sudden lack of space. Even when you’re doing your best to keep up with archiving work or digitizing documents, things (papers, knick-knacks, reference materials, etc.) always seem to pile up eventually. Adding some new office shelving can be a great way to take care of this problem, but how do you decide exactly which unit to choose? Before worrying about the smaller details of the unit, take a look at your current office layout. If you have existing shelving that you plan to replace, consider whether you’d like to have a similarly-sized new unit or would like something different (e.g., a taller unit for expanded vertical storage). 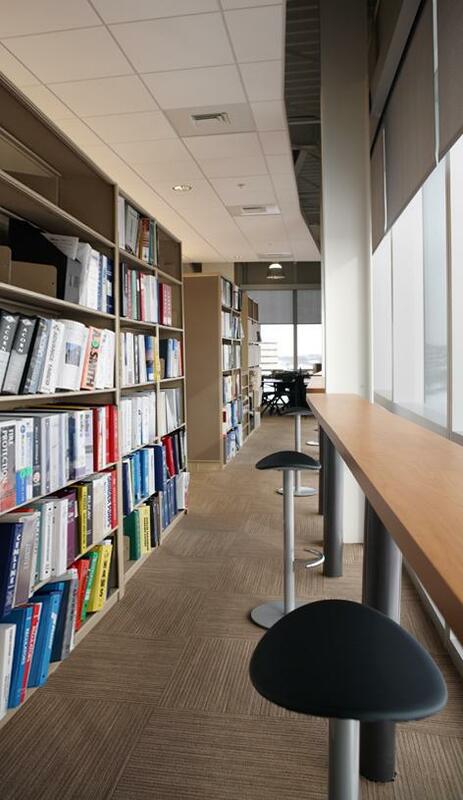 If you don’t have shelving or plan to add additional shelving units, think about the overall size of your office. If it’s large and spacious, you might have no problem fitting a large new unit. If your office is somewhat “cozy” by comparison, think about how you might maximize your storage while conserving space. In the latter case, tall, narrow shelving can be perfect for saving wall space while allowing you to store or display more items vertically. How Will You Be Using the Shelving? Once you’ve decided roughly what size of unit will work best in the available space, consider exactly what you plan to store on the shelves. How deep does each shelf need to be? 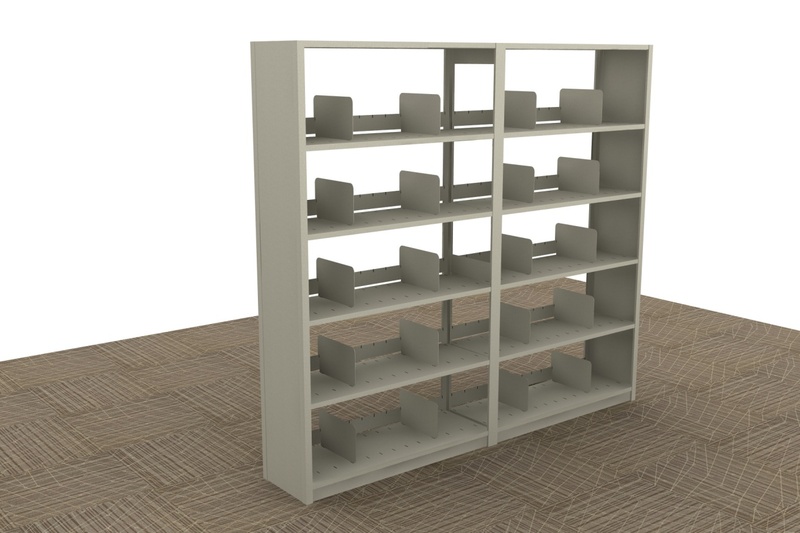 How much vertical space between shelves will be required to accommodate the files, books, or items? Will you need something with adjustable shelves? Each of these questions could be important to making the right decision. 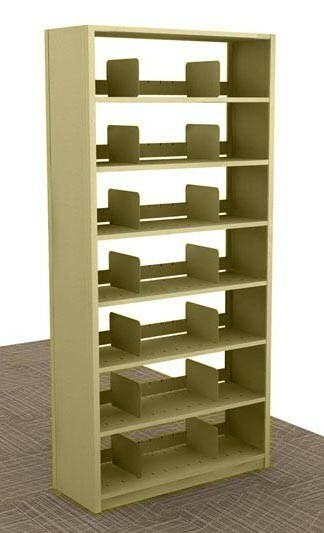 The better you can picture exactly what will go on your new shelves, the more confident you’ll be in your selection. After you’ve decided on the important elements related to size and function, you can start thinking about the fun stuff: color and design. 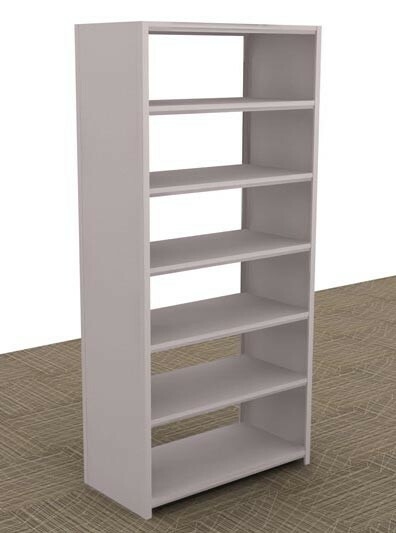 If you have a more traditional style of office, you might choose a shorter shelving unit with a laminate wood top. A sleek, modern office in a tech company, on the other hand, might benefit from the look of chic, minimalist metal shelving. As for color, think about whether you’d like your storage to stand out or blend in. If you’d like it to match your existing office furniture and shelving, choose a coordinating color or opt for a standard black, white, gray, or beige. To add a pop of color to your office, choose a bright color that contrasts nicely with the color of your office walls. Whether you’re in a corporate office or working from a home space, Aurora Small Office has a wide variety of high-quality storage solutions to help you stay organized. From letter-size and legal-size shelving units to counter-high and 76-inch options, we offer a range of options for all manner of professional filing and storage needs. To learn more about how you can increase your storage space with a sturdy new storage solution from Aurora Small Office, call us today at 800-277-1699! Author adminPosted on October 21, 2016 May 10, 2017 Tags Office shelving, Shelving UnitsLeave a comment on What Shelving Unit Is Right for My Office? The success of your law firm depends upon more than just a steady flow of clients coming in to retain your services. There are several key areas of your practice where you could be bleeding money on unnecessary expenses, leading to a reduction in the practice’s earnings and bottom line. It is worth your time to evaluate your day-to-day operations and see if there is any “fat” you can cut to save money. There are additional things you might consider to make your firm even more profitable. Empty Spaces – If you have a large office with vast amounts of empty, unused space, you are wasting money. Consider rightsizing into a smaller office, or, if you own your office space, lease out the unused space to another business. Maximize Storage Space – Stacking cardboard boxes of case files around the office not only makes it difficult to retrieve files when you need them, but also creates clutter. 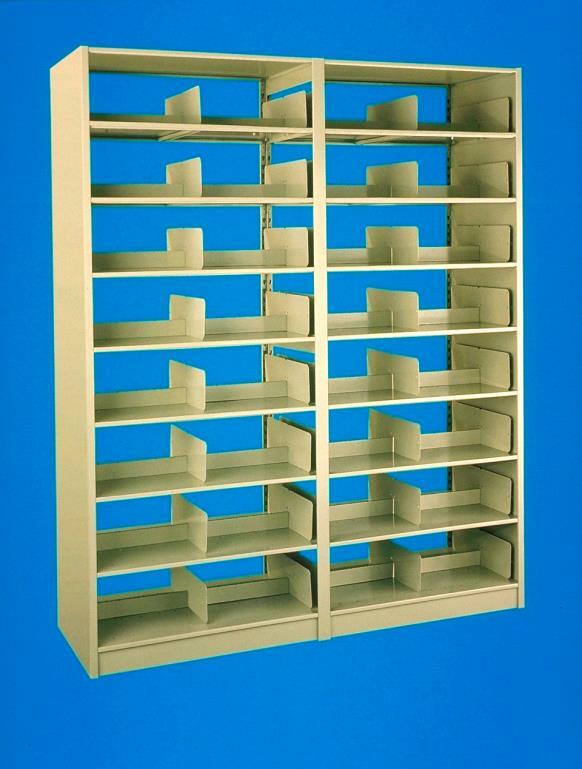 Obtain storage shelving units to help keep files in order to utilize every inch of storage space you have available. Share Office Space with Another Law Firm – If you are starting your own practice, sometimes sharing with another lawyer in a different specialization area can be beneficial for you both. Not only do you split the primary office expenses, but it opens up opportunities for referrals. Offer Creative Benefits – If you are tight on funds and cannot afford to give your support staff raises, it can hurt their morale and productivity. Instead, explore other types of creative benefits to keep your employees happy and productivity high. For instance treat your employees to an in house lunch or breakfast. Surprise high performers with a gift card. A written thank you note for a job well done can go further than you think. Consider Law Students for Temporary Positions – For those times of year when your law office is busier, or for special cases, law students are perfect candidates for internships, rather than hiring additional employees. To find out the requirements for work/study programs, consult with the appropriate universities in your area. Utilize Staff Correctly – If your firm has support staff, it makes no sense to have you or your law partner hand deliver documents to a client unless you need to provide additional legal information when it is delivered. Consider the task and assign to the appropriate level staff member to maximize time properly. Take Advantage of Office Supply Rewards Programs – Law offices go through lots of paper, file folders, and other office supplies. Joining office supply rewards programs allows you to earn discounts, rebates, and other benefits that can save you money. Do Not Be Afraid to Turn Down a Case – Evaluate each potential client on a case-by-case basis. In some situations, you could waste time and money by accepting a case that does not fit your firm’s profile, or if you fear the client would not be creditworthy. Free Advertising & Networking – You might not think to join your local chamber of commerce but it can pay great dividends when you get networked into your community and linked to other professionals that could use your services. Pro-Bono Work – Charitable pro-bono work not only brings the satisfaction of doing well for your community, but also provides tax incentives to your firm. Newsworthy pro-bono cases create free buzz in the press and social media and that can be priceless. Regardless of the size of your practice, remember to review most of these items at least a few times each year to ensure you are not wasting money you could be saving. For all of your law office’s filing and storage system needs, call Aurora Small Office at 800-277-1699 for assistance in selecting the best solutions for your legal practice. Law firms have to set aside sufficient safe for their clients’ case files, legal documentation, court records, research materials, and more. Your office can quickly get overrun with stacks of files and papers making it difficult to find open desk space to work. To regain control over the mounting stacks of files and papers, you need to implement a plan to get more organized. Evaluate the amount of storage systems you presently have in use and determine if these are sufficient or if you require more units to declutter the office. Consider investing in adjustable shelving units, as these can allow you to move around the shelving to increase the available storage space. It can seem overwhelming to get a cluttered law office organized if you attempt to tackle the entire office at once. Rather, focus your attention on one area at a time. Working slow and steady on the process will pay off in the long run. If you attempt to organize the entire office at once, it is easy to lose focus on the project because you have to devote time to organization, clients, cases, and court hearings. Once you decide where you want to start, clear everything out of that space. Use cardboard file boxes for temporary storage you can stack out of the way. 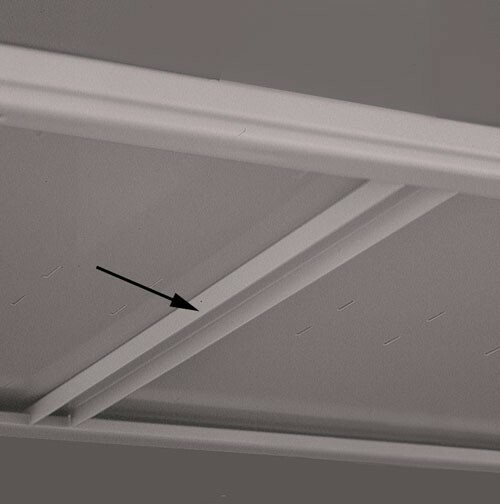 Use this time to install additional shelving and filing system units in the location, too. Go through each box of files you set aside, and determine the best place to store them. You should have specific areas for ongoing cases, new cases, and closed case files. It is never a good idea to mix these together, as it can make it difficult to find files when you need them. Granted, some of your cases might involve all of the above categories, so you will need to best determine what categories are the most appropriate for your law firm. Do you really need to keep stacks of legal journals and magazines from two or more years ago? Check to see if there are electronic versions online or, if not, consider scanning the articles that you like to reference to clear up space. Archive closed case files away in a secure location, either offsite or in a separate area within your law firm. Once your law office is organized, remember to set aside a few hours each week to ensure it remains that way. 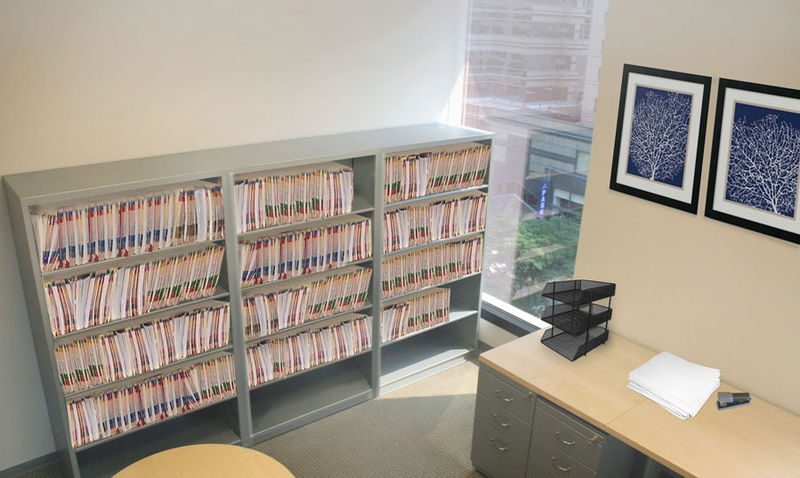 For file and storage shelving units and systems for your law office, contact Aurora Small Office at 800-277-1699 today. The responsibility of keeping your office neat, organized, and functional can quickly become a stressful burden for just about anyone. 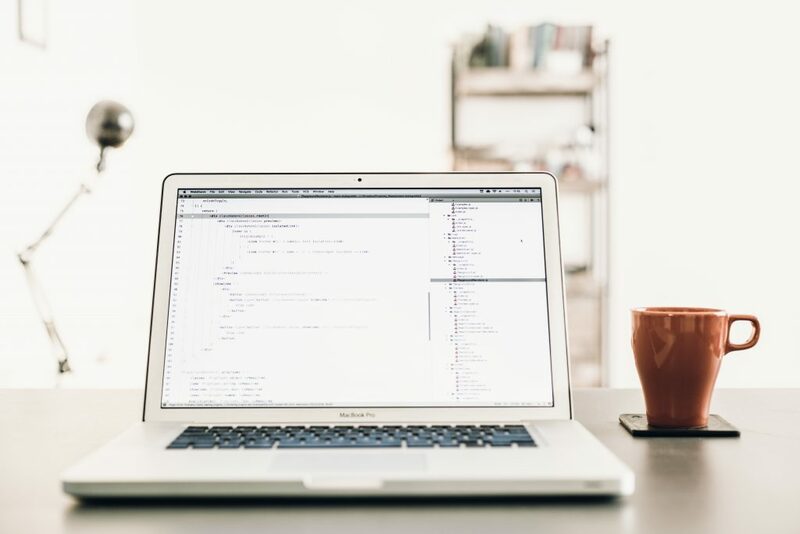 After all, the purpose of having an office is to be able to have quick, reliable access to the documents and tools you need to do your job right. 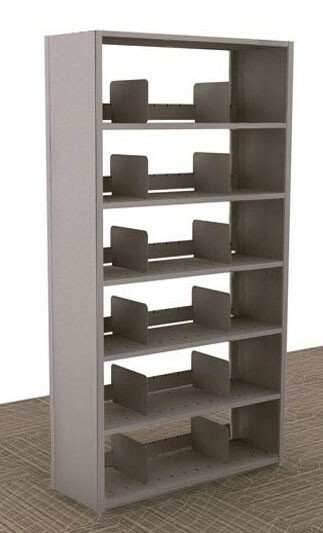 If your office lacks storage, and you struggle with organization, then your best answer may be to add office shelving units into your design plan. There are several ways to begin this process, and we have a few helpful tips below that should help you decide what would be best for you and your office space. Before you determine the size of the filing system you’ll want to put into place, you’ll need to figure out exactly how much space you need. In some professions you’ll need to keep hundreds―if not thousands―of files, folders, and spec books within an arm’s reach. However, along with the necessary items, you’re also bound to discover out-of-date materials or documents that you don’t really need anymore. Once you’ve eliminated everything that’s unnecessary, you can begin to plan how many shelving units or storage containers, or filing cabinets you’ll need to effectively organize and store your necessary documents. Make an assessment of how many files you have and take a best guess as to their average thickness. It’s always good to factor in room for growth, say about 20%. If you have 200 files that are roughly 1/2” thick, you will need 120 linear filing inches to store them. That would equate to four 30” shelves, or about a single shelving unit. Although your desk may come with a certain amount of storage, some professions require so much current and archived storage that it simply makes sense to organize it all into its own ‘back room’ storage section. By using tall storage shelving in the room you can effectively separate current, active material in one area and archived material further back in the same room. 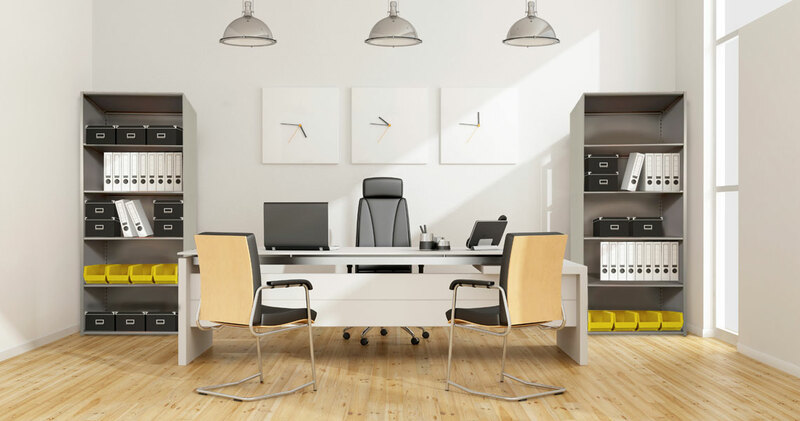 Although some professionals―lawyers, for example―may be afraid to add a little bit of color to their organization system, there are plenty of options when it comes to keeping your office organized. 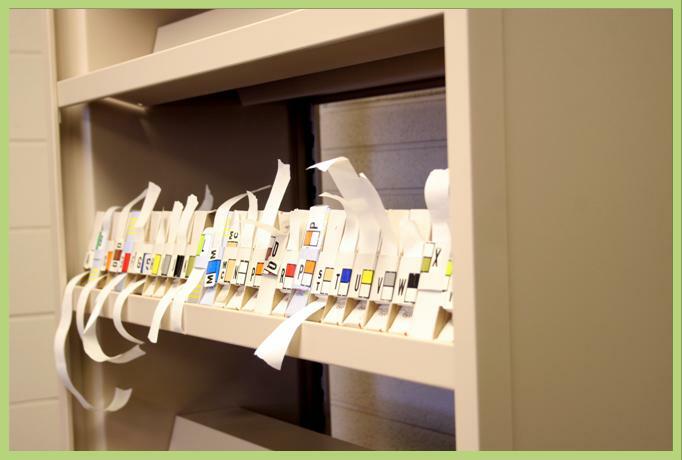 Regardless of if you decide to color-code your filing system and color code your files themselves ―and human science says that it will help your brain to do so a shelf labeler will come in handy when categorizing your materials. If you have multiple rows of filing shelving you can label each end panel with large format aisle labels to quickly see what is being stored where. Even simply sectioning off different types of documents into different organization accessories―keeping reference materials in binders, while keeping tax information in a folder, for example―can help you intuitively understand where everything should go. Even if everything in your office has a designated space, you’ll occasionally find that some things don’t exactly fit into one of your established categories. For this reason, it’s important to designate space in your shelving or filing system for these items to ensure that they don’t end up staying on your desk for a prolonged period of time. This way the 3-D direct mail piece your boss is considering, or the sales sample you need to eventually return, or the widget you just can’t part with can be put neatly way until there’s no further use for it. As we said before, keeping your office organized requires a lot of predetermined effort. By investing in filing and shelving units, you can easily solve any special problems you may face when moving in your boxes, books, files, and other necessary reference materials. What you may not realize is you actually spend more time pushing paper around your desk to make room to do current tasks, and even more time going through stacks of unfiled folders searching for one particular piece of paper. Simply clearing off your desktop by opening a side drawer under the desk and dropping everything into it does not count as organization. Depending on the current state of your office, you may think it will require weeks or even months to get your office back into order. However, rather than giving up or investing money in a professional organizer you can keep your business humming while dedicating only 15 minutes – 30 minutes each day to organize paper. Make it a game. Open your favorite i-tune, set the timer on your smart phone, and begin. Devote no more time than you’ve allotted, but allow no interruptions. Reward yourself with a coffee or a candy. Before you know it, you will wonder why you did not take the time to get your office in order months ago! Encourage everyone in your office to do a little bit of “spring cleaning,” too, regardless of the actual time of year. Get rid of any papers, files, and documents you no longer need. Just remember, you may want to shred these for security reasons. Also toss out and recycle any nonworking equipment and computers, or anything you no longer use that is taking up space. Next, find a location for storage shelves and filing systems if you do not currently have a dedicated space within your office. Relocate existing cabinets and shelves to the new location, or order new or additional sections of shelving to ensure you have plenty of storage for those items you need to keep. Now that your storage area is set up, take the time to go through existing files and get rid of any you no longer have to retain. This will make room for those stacks of files and papers on everyone’s desks. It does not hurt to invest in multicolored filing tabs and folders. For open storage shelves, you can use clear totes or clear pull-out cubes for storing loose items, like office supplies, and maximize the shelving space. Use your label maker and label each of your totes or cubes so everyone will know what they contain and where to put items when new office supplies are ordered. You can also use file storage boxes for archived files you want to retain, but do not want in your main filing storage system, and place these onto open storage shelving sections. For further filing and storage inspirational ideas, and storage and filing shelving systems for your office, please feel free contact Aurora Small Office today at 800-277-1699. One of the most essential aspects to an efficiently running office is the type of filing system you have in place. 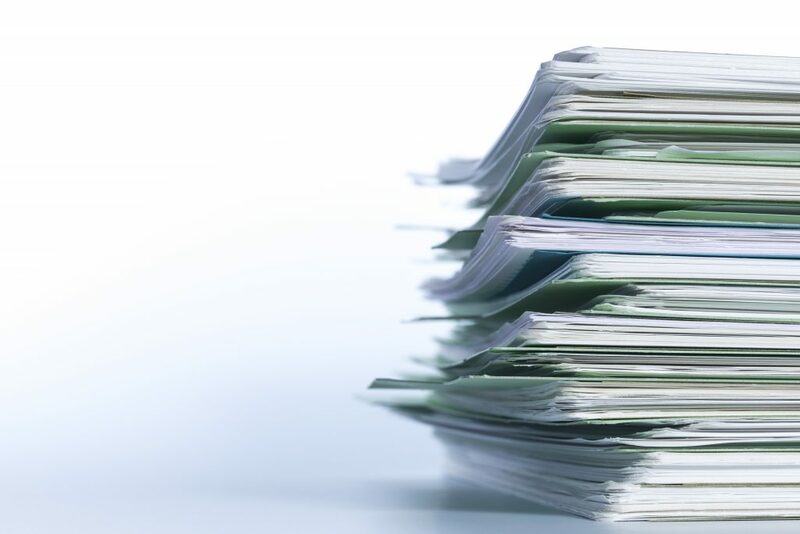 Taking the time to take control of your paperwork and develop effective file storage solutions is vital to ensure everyone within the office is able to find paperwork when they require it, as well as know where to put it when filing it away. 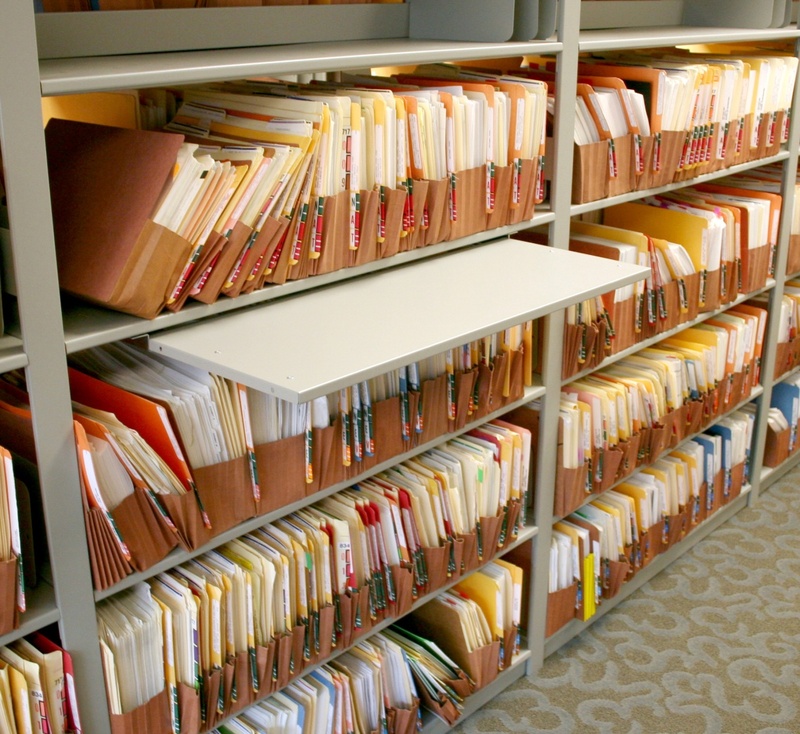 Whether you opt for shelving units, filing cabinets, or some combination thereof, you can organize paperwork by category, subject, account number, or account name. Just make sure the system is going to make sense to everyone. Use different colored folders along with the end tab coding filing system you implement. For instance, if you are filing with an alphabetically coded system by client/account name in addition to the labels also use one color file for “A,” another color for “B,” and so on. You can repeat colors if needed, but make sure to follow the same pattern. This is true if you choose a numeric filing system to organize files by the year the client started with your company. 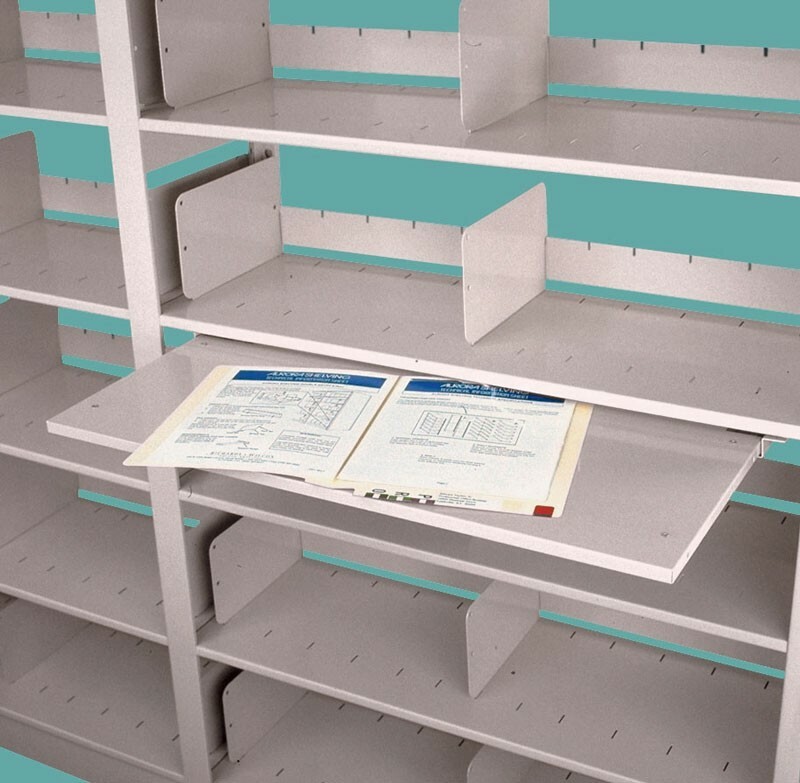 When selecting shelving, you want units that will last and be able to support the weight of the paperwork you put into or on them. For heavily loaded shelves try adding shelf reinforcements to take the extra weight. 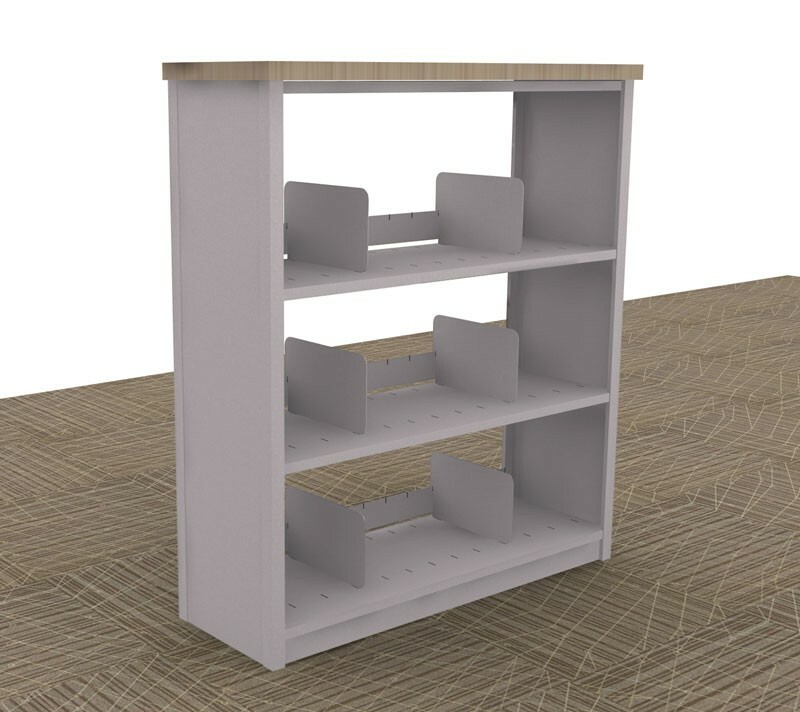 For efficiency in processing documents, add a pullout reference shelf to the shelving unit, so you can work with files right there without having to transport files to your desk. Make it a habit to archive away older files and paperwork on a regular basis. Deferring back to Step #2, you can further colorize your files by using different colored folders within each main folder for every month of the year and moving the previous months’ folders to a separate storage/filing system. 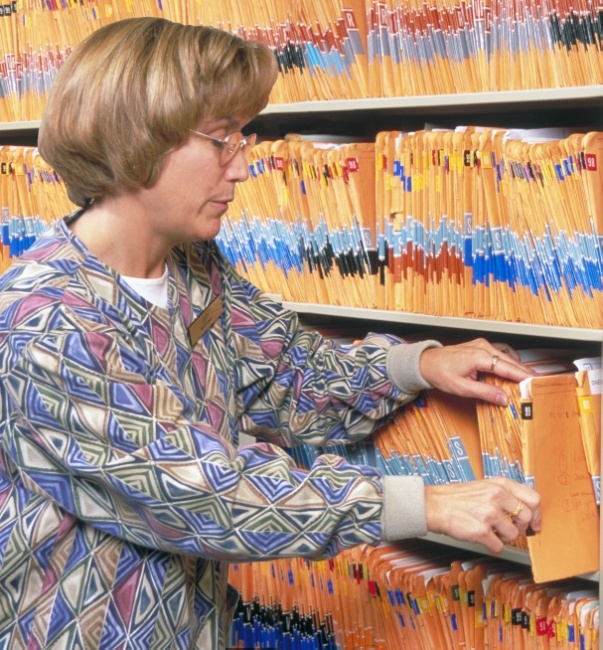 Do research first on what sort of file label system will work best for your office. Consult the people that will be using the system and get their input. If you choose one method but later decide this is not working well, it can be expensive and time consuming to change hundreds of labeled files. If you are breaking paperwork down by month or other subcategories, remember to include the main file name on any subcategory files. Otherwise, it is easy to make filing mistakes and misplace paperwork. If you do not set aside time to file paperwork away, it can quickly fill up your inbox and overrun your entire desk. Allow about 15 minutes each day, either at the start or end of your shift to file away paperwork you are done with and no longer require. For further suggestions and expert advice on developing an effective file storage solution for your paperwork, call Aurora Small Office at 800-277-1699 today and speak with one of our helpful representatives. 1. 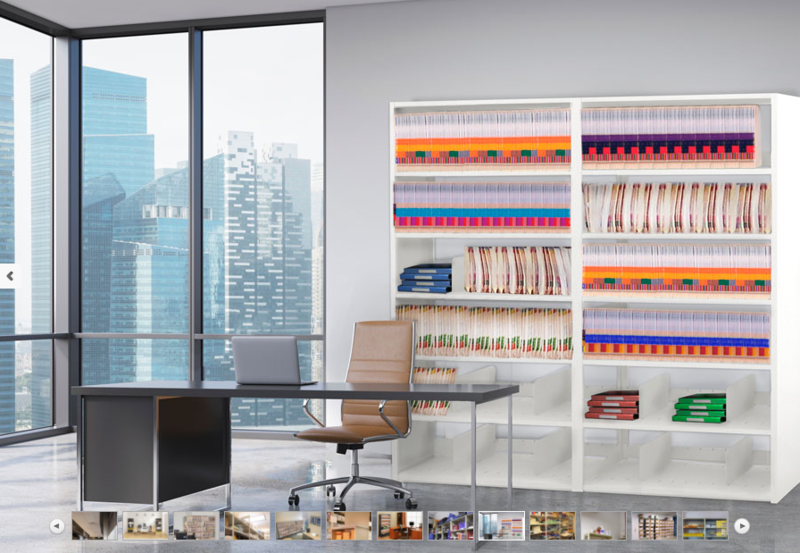 Organize the office using storage and shelving systems from Aurora Small Office. How many times have you opened a filing cabinet drawer and have to search through years of files just to find the one document you need from last month? With storage systems and a good color coded filing system, you can get your files in proper order, archive away older files, and know exactly where everything is, so you spend less time retrieving it. 2. Prioritize your daily tasks. From the moment you sit down at your desk, make a to-do list of tasks you need to accomplish that day based upon their priority. Make sure to finish one task at a time before moving on to the next. 3. Limit the amount of time you spend on emails. Ideally, you should only have to check and respond to emails in the morning and again in the late afternoon before leaving for the day. Do not let emails consume your time; otherwise, you will find yourself getting further behind on other tasks. 4. Delegate responsibilities to your support staff. You do not have to do everything yourself and can delegate certain tasks like opening the mail to specific personnel within your office. Learn to let go and allow others to take some of your workload off your plate. 5. Enable your staff to make decisions, within reason. Empower your staff to resolve certain issues on their own without having to consult with you first. When they can solve problems on their own, it frees up more of your time to concentrate on more important tasks. 6. Limit open-door practices to specific hours of the day. If you have an open-door policy, it is not uncommon for staff members to frequently distract you throughout the day. Try to set specific hours each day where you will be available to meet with staff one-on-one to discuss questions/concerns. 7. Share your calendar with your employees. Let your employees know your availability and what you have scheduled for the day. When they can see you are in a meeting, and a phone call comes in, they can take a message or put the call in your voice mail, rather than interrupting you. By taking the time to reorganize your office, and adjust your practices and policies, you can have an effective and efficient-running office. To learn more about storage and shelving solutions, and products for your office, including replacement parts and accessories, contact Aurora Small Office at 800-277-1699 to speak with a representative today.